Boost your family prospects with the Prospective Student Form. Automate the process of collecting visitors’ information from your website and transferring it into Gradelink so you can follow up with them. 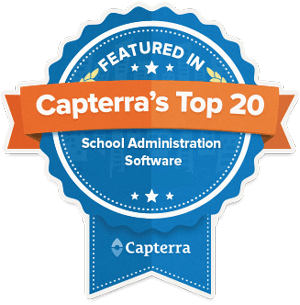 This tool, included with standard Gradelink service, can be added to your school’s website. You can even use it on your mobile device to capture leads on the go. 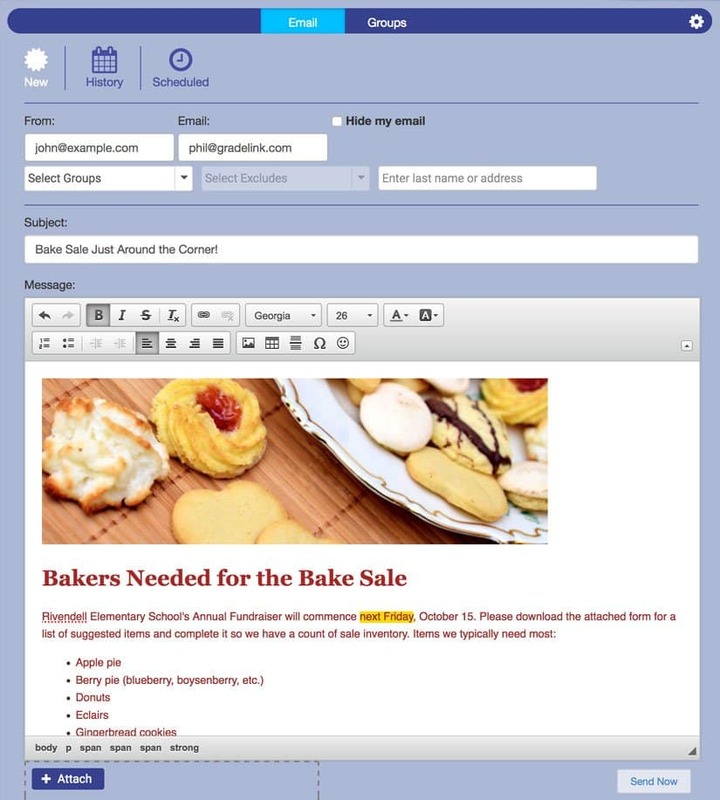 SmartSend, Gradelink’s email blast feature, lets principals and administrators (and optionally teachers) easily send messages or announcements to individuals or groups. For instance, communicate with parents of eighth graders, the whole staff, or even the entire school. It's made life as a teacher a lot easier to communicate with families of students in my class. Gradelink’s Calendar feature offers powerful, detailed event tracking and planning abilities to keep everyone in sync. 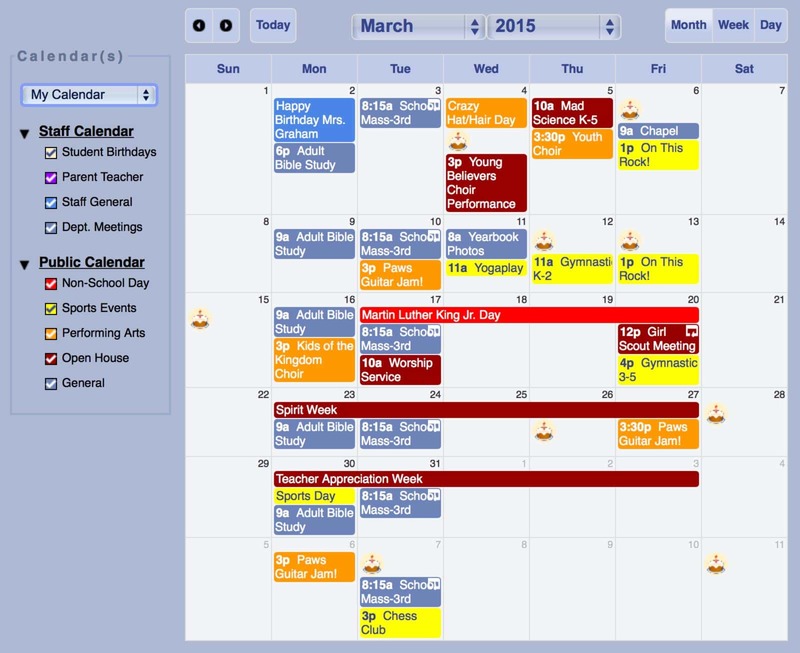 The faculty calendar only shows events to your staff, while the all-school calendar is visible to parents and can be embedded on your website. Teachers can even have class-specific calendars that include assignments by due date and class-related events. Putting grades, lesson plans, communication, teacher features and admin features all in one place is the best thing invented since sliced bread!